A “project” at this point, there’s seemingly little reason why Nissan couldn’t add a diesel model to the Frontier lineup if demand warranted. 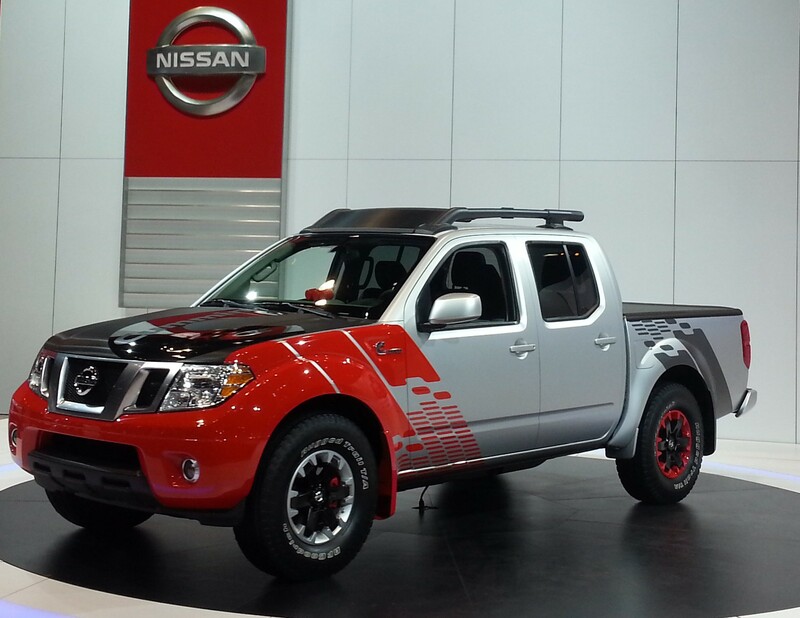 CHICAGO — Nissan rolled out two vehicles at the 2014 Chicago Auto Show: one a new trim level of its new-for-2014 Versa Note hatchback and the other a diesel-powered concept version of its Frontier compact pickup truck. The sporty Versa Note SR displayed in Chicago is one of two new trim levels Nissan is adding to the 2015 Versa Note lineup; the other is the upscale SL model. The SR gets a sporty grille and front and rear fascias, unique rear spoiler, 16-inch alloy wheels, and some exclusive interior upgrades. The SL comes standard with Nissan’s “Divide N’ Hide” adjustable cargo floor; NissanConnect apps and smartphone connectivity including Google, Pandora, iHeartRadio, and Facebook; and a hands-free text-messaging-assist system. 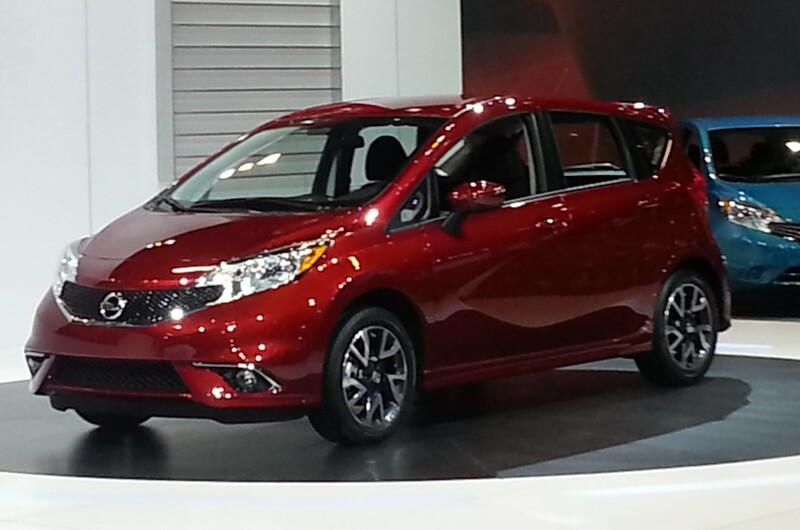 Versa Note gets sportier for 2015, at least in SR trim. Unique wheels and special trim are part of the deal. All 2015 Versa Notes get Bluetooth connectivity with steering-wheel-mounted controls as standard equipment. Both the SR and SL trim levels are set to go on sale this spring. Nissan also pulled the wraps off the Frontier Diesel Runner, a “project truck” that marries the current Nissan Frontier with a 2.8-liter 4-cylinder Cummins diesel engine and an 8-speed automatic transmission supplied by ZF. Nissan claims the Cummins diesel engine boasts a 35-percent increase in fuel economy and an 80-percent increase in in torque over the gasoline-engine Frontier. However, at this point, the Frontier Diesel Runner is a just a concept; Nissan is showing it to garner social media feedback and to gauge consumer interest in a possible production version. The Versa Note is a likeable subcompact hatchback, and the addition of the new trim levels for 2015 only broaden its appeal. The Frontier Diesel Runner concept is an intriguing proposal that could provide Nissan with a weapon against the new Chevrolet Colorado and GMC Canyon pickups, along with Toyota’s soon-to-be-redesigned Tacoma. Should Nissan see fit to produce it, it’s likely that the Cummins engine will tack on a substantial tariff to the Frontier’s sticker price. The formerly dormant compact-pickup class is getting interesting again. Written by: Damon Bell on February 6, 2014.on February 1, 2019.